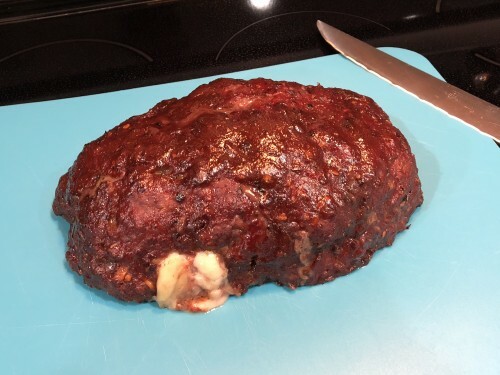 This was my first time making meatloaf ever. I followed this recipe https://www.weber.com/US/en/blog/grilled-meatloaf-for-dinner except I subbed out the eggs and milk for apple sauce because of allergies in the house. It was really good and my wife was impressed! There wasn't really much of a smoke ring though. I was aiming for something like that in the Weber recipe. Actually the past several things I tried smoke there wasn't much but of a smoke ring. I'm still relatively new to smoking. I didn't do anything different, roughly from fridge to grill, same amount of wood chunks. Exhaust vent over food, coals banked on opposite side. The only thing I can think of is I tried putting the meat as far away from the coals as I could. Would that make it so that less smoke hits it because of the way it rises? Oh I also put on the wood the same time at the meat. It starts smoking nearly immediately but should the wood go on first for a little bit then put the meat on? I really like Amazing Ribs dot com. Great science in the art of smoking. Lots of good info if you start reading on this site too. How much applesauce did you use to substitute the eggs & milk? What was the heat range and cook time? Could you possibly lower the temps and give it more time to absorb the smoke? 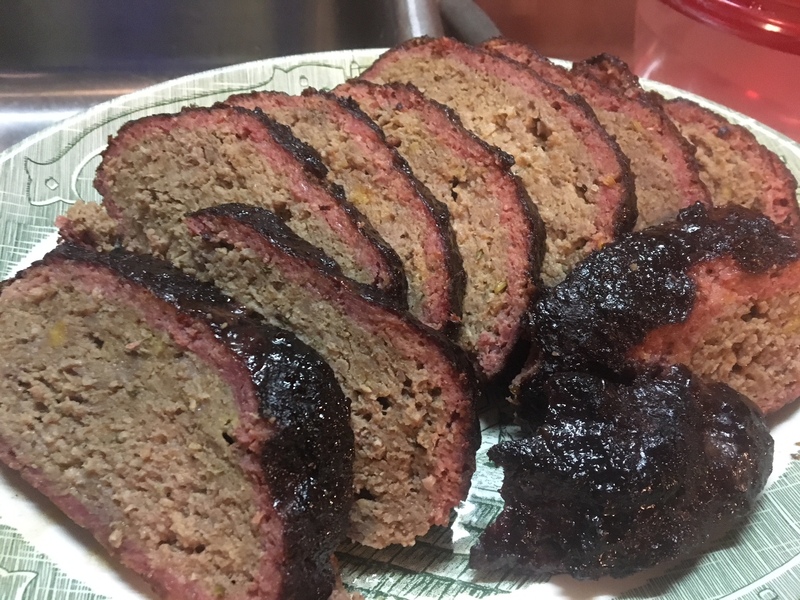 I have smoked meatloaf a few times. 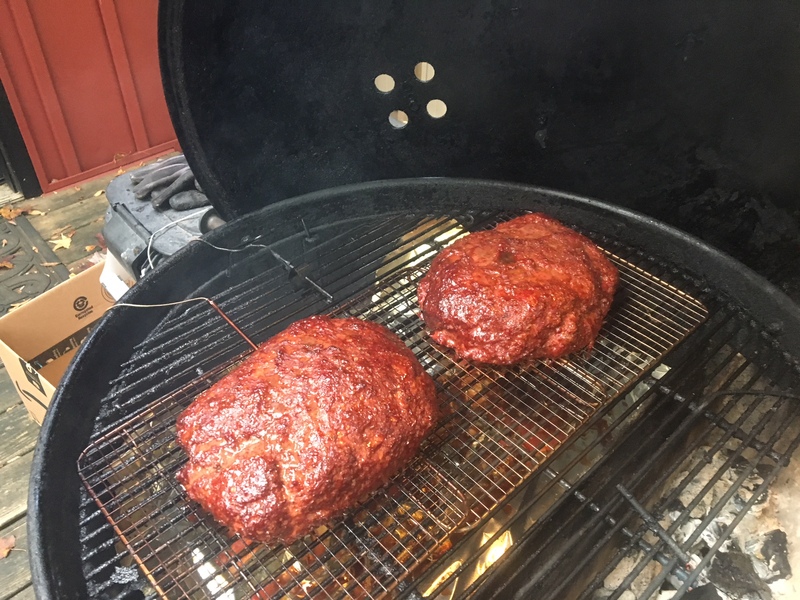 I use my 18.5” WSM and maintain ~ 250 to 275 F. I cook to an internal temperature of 155 F, let them rest for 10 to 15 minutes. Usually takes about 2 to 2 hrs 15 minutes. Yours look good @SMOKE FREAK and if the family is impressed, why change? Here are some I did a couple of weeks ago. I did them with the Slow 'n Sear. Maybe I missed it but I would also like to know your ratio of applesauce per pound of meat please. Thanks everyone for the feedback! I cooked it at 300F. I didn't have an exact formula for how much applesauce to sub in. I followed this recipe and used 2TBSP of applesauce, except I had 2lb of meat instead of 1.5lb. I just use two baskets of charcoal and leave the vents wide open. I believe it gets the grill to about 350. It takes a little an hour and a half or so to cook two loaves. I use this mix from BJ’s that has beef, pork, and veal. I’ve used Apple, pecan, and cherry. All are really good, and cherry yields a nice smoke ring. Don’t forget the bacon wrap! This recipe attracted me because of the Jack Daniels. I used regular JD in the recipe and JD Tennessee Honey for the sauce. Family loved it but only adjustment next time is a little less pepper flakes in the sauce so it’s not so hot. Thanks for mentioning it.